Southdown Gun Club & Shooting School is located in the heart of West Sussex, just North of Worthing, near Findon. Established in 1984 we celebrated 30 years of Shooting in 2014. Probably one of the few grounds in the country that can boast our doors have been open for 32 years!! We’ve weathered the storm of two recessions and following significant investment in the last 5+ years we’re here to stay!! 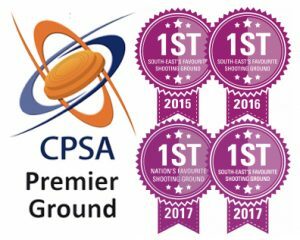 Southdown is one of the largest shooting grounds in the country and is accredited with CPSA Premier status.